When visiting Atlanta to attend the Alive Expo there are many hotel choices offering excellent value, upscale accommodations and amenities. Or use search sites like Hotels.com to find a great deal on your stay! 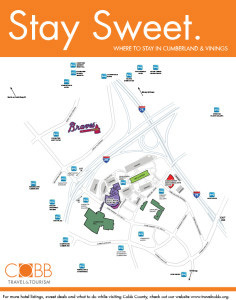 You can search for your hotel by either close to Cobb Galleria Centre or Cumberland Mall. List of near-by restaurants to plan out your meals. 50 Fun Things to Do in Atlanta!